The Illustration Work of Louise Byng as seen from Earth. 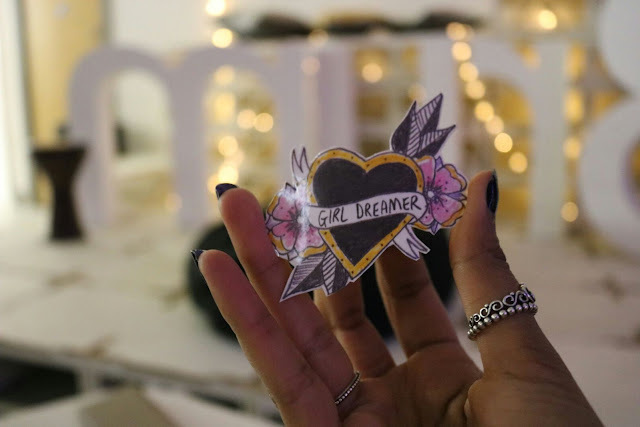 : Hey Girl Dreamer! The idea behind the Girl's Night In concept is to create a relaxed and safe space for girls and women of all ages and backgrounds to socialise together and make their own rules around what that looks like. 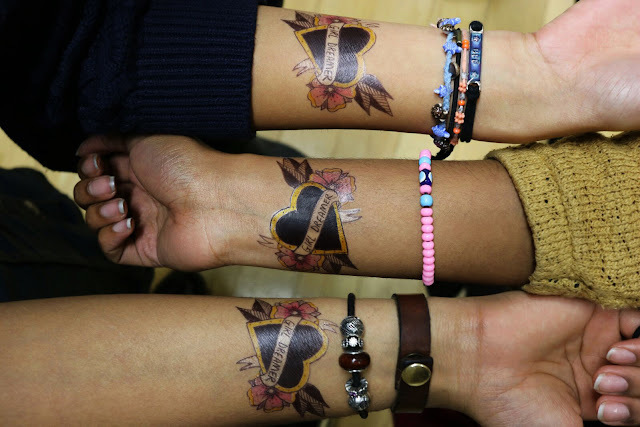 Rejecting the notion that you need to go to a bar or club, or pay ever-increasing amounts for a cinema ticket or meals out in order to have fun / meet new people, female empowerment brand mOmhead are keen to promote an alternative offer. So far activities have included non-alcoholic cocktail making (where I learnt to 'muddle'), music chosen by attendees (with optional dance routines), card games and mindful colouring, charades, and delicious homemade food including samosas, chickpea curry and loads more. 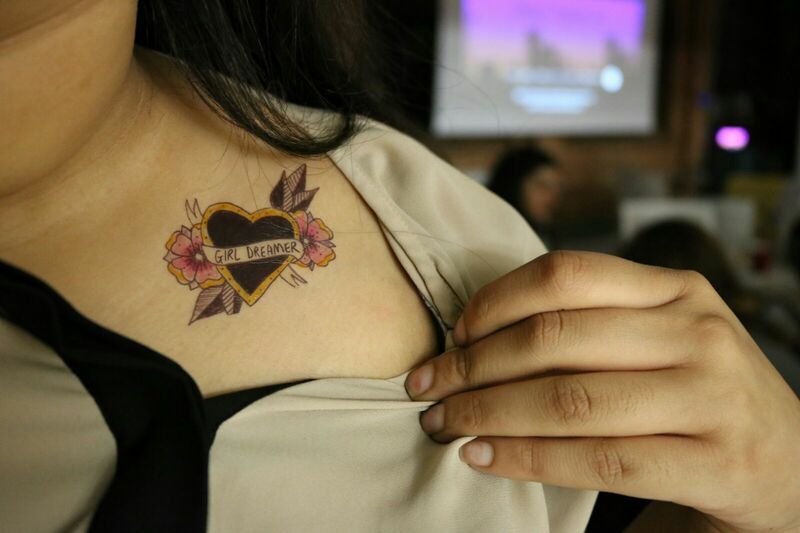 For the second event, my tattoos were added into the mix, and to my surprise nearly every woman in attendance joined me on the sofa to get a Girl Dreamer heart of their own. As with whenever badass women get together, the events have been a kind of shared, secret magic, safe from the gaze of the outside world. 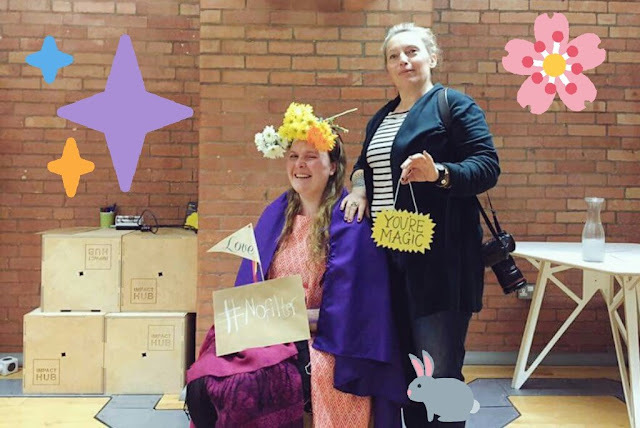 Unlike hosting these events with your best friends, the fact the event is open to all means that you meet people you may not have otherwise, and you get the opportunity to bond and accidentally discuss what matters to you whilst small creative tasks and a relaxed setting stop any awkwardness. It's a place you can go to alone, and not feel lonely or left out, even if people in the room already know each other. It's a place where you leave both more relaxed and more confident than you went in. It's a place to deeply be yourself. Along with my #GirlDreamer tattoos, Alison Baskerville (super rad documentary photographer, and my creative wife) led a #nofilter photo booth, capturing the natural beauty of the ladies in attendance and exploring different ways of shooting, all unedited and stripped back. Whilst largely producing gorgeous and professional outcomes, this also culminated in some hilariously playful collective styling and dress up which resulted in our faux engagement shoot, complete with cut flowers, kawaii twitter stickers, and some actual tears of laughter. 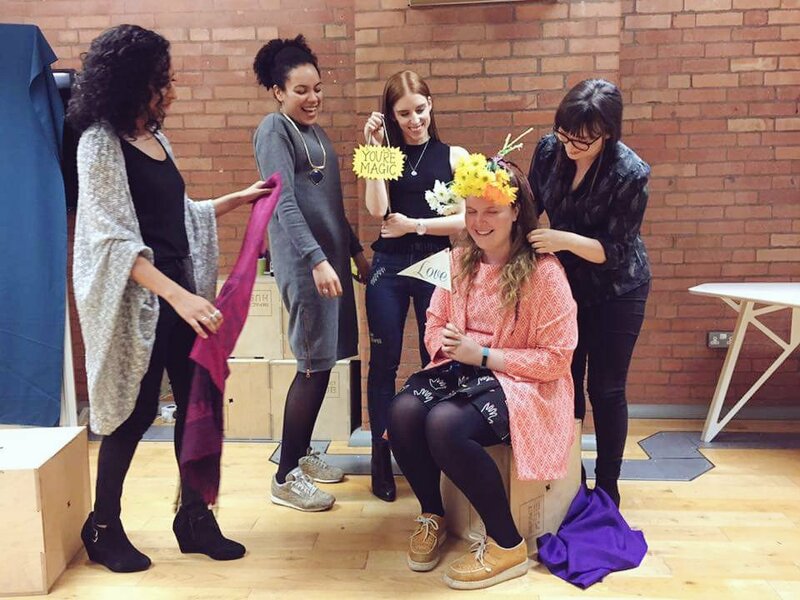 The next Girl's Night In event Conscious Collective is on 20th January, so check it out if you want to get involved. 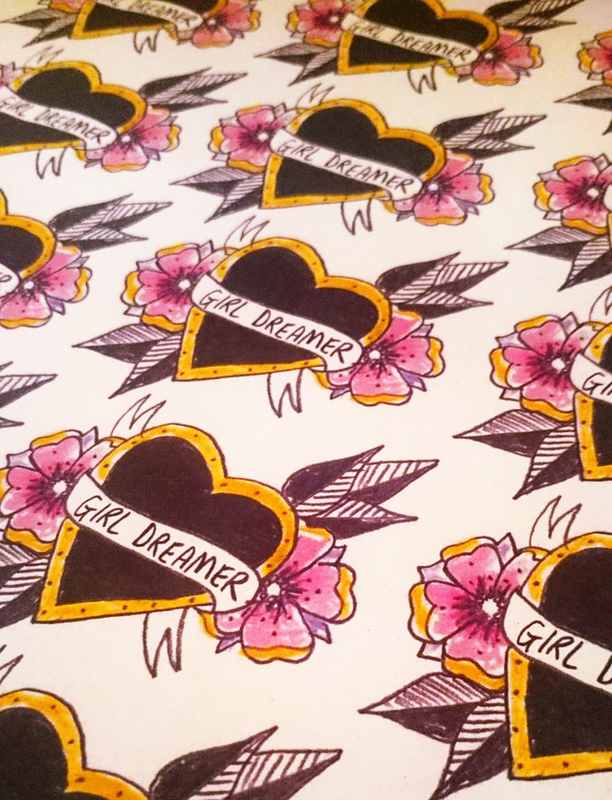 You can also follow Girl Dreamer on twitter, facebook & instagram to learn more about their ethos & work.